The Maccabiah is the “Jewish Olympics,” a quadrennial event held in Israel with the participation of Jewish athletes from around the world. 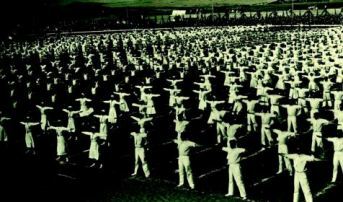 Its origins date back to the nineteenth century, when the Zionist Movement adopted the view relating national revival to physical education, and founded Jewish sports movements in Europe in the spirit of Max Nordau’s call for a “Jewry of muscle,” at a speech he gave at the 1898 Zionist Congress. Two years later, in the editorial of the first issue of the Jewish sports periodical, first published in May 1900, the essence of the movement was summed up in the famous motto, “A healthy mind in a healthy body.” Later the periodical changed its name to HaMaccabi. Born in Tel Aviv in 1923, Rabinowitz has indeed been here all along. She joined the Maccabi movement in 1935 when she was 12, and participated in the Second Maccabiah as a member of the Young Maccabi team. 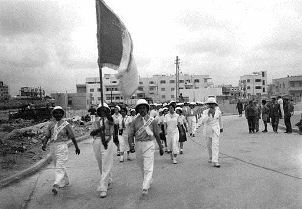 “We gathered, dressed in white uniforms, in the courtyard of the Herzliya Gymnasium [a high school] on Ahad Ha’Am Street, and marched, in rows at first, down Ahad Ha’Am Street,” she says, recalling how “in those days, a policeman directed the traffic.” The procession would head down to the beach, she continues and then “to the stadium which was at the Yarkon estuary. The entire area was empty, it was all just sand dunes,” she adds. Rabinowitz remained a member of Maccabi. She welcomed all the delegations, watched all the opening and closing ceremonies from the dignitaries’ stand, and remembers all the exciting, joyful moments, alongside the sad and painful ones. A large photograph hangs in her room, dating from the Second World War, showing a unit of young Maccabi members who joined the British Army in order to help fight the Nazis on the Italian front. “I took care of their recruitment,” says Rabinowitz. 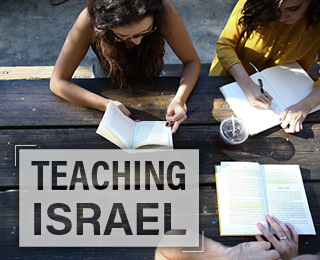 She still recalls the administrative discussions she heard as a child prior to the First Maccabiah: “Someone was sent to America to collect money. He returned with $2,000 dollars, which was a lot of money then,” she says, referring to Dr. Alexander Rosenfeld, one of the leaders of the Maccabi World Union. The British High Commissioner Arthur Wauchope, in those pre-statehood days, said that if British policemen and soldiers were allowed to participate in the games, he would assist in the preparations for the Maccabiah. “And he did indeed help,” says Rabinowitz. 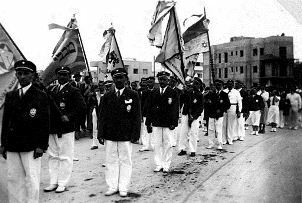 The “Maccabiyon,” as the first Maccabiah Games were called, was the brainchild of Yosef Yekutieli, an athlete and physical education instructor who immigrated to Palestine from Russia in 1909. As a 15-year-old boy he had been a spectator at the Olympic Games in Stockholm, and developed the idea of gathering in Palestine Jewish athletes from around the globe. He later embarked on meetings, solicitations, and appeals to governors, secretaries, clerks, government officials, and friends. Seeking to promote the event, he led one of two delegations of motorcyclists from Palestine, who went on a tour of Europe in 1930 and in 1931. They left from the Sinai desert and traversed some 9,400 kilometers, through Cairo, Alexandria, Thessaloniki, Sofia, Belgrade, Vienna, Nuremberg, Frankfurt, Paris, and London. To these cities, and to many others, they brought the news of the Maccabiah Games to be held in Tel Aviv in 1932. 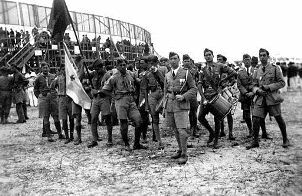 The efforts paid off: The first Maccabiah was held in Tel Aviv in 1932, a symbolic date − 1,800 years after the Bar Kokhba Revolt. The list was truly respectable. It included the Polish boxing champion Kessler, wrestling champions Hefetz of Egypt and Hirschel from Vienna, the swimmer Hyman from the United States, who set a record for the 100-meter swim − just one second behind the world record. 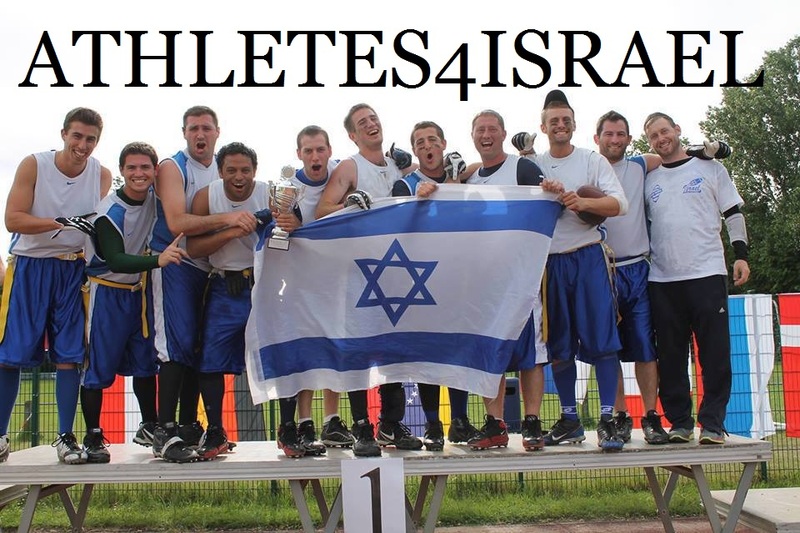 Some 5,000 Maccabi Union athletes from 22 countries participated in the games. The stadium built for the event was constructed with raw materials transported on camels from the Ramle train station to Tel Aviv. The construction work went on for two months, at the end of which a deserted plot became a flat, tidy area. A statue of Meir Dizengoff (1861 - 1936), first mayor of Tel Aviv, located on Rothschild Boulevard. 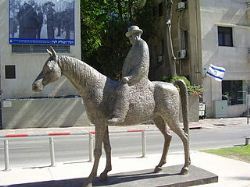 The first mayor of Tel Aviv, Meir Dizengoff, rode on a white horse at the head of a convoy of riders who struggled through the quicksand on the way to the stadium. The flag bearers were fencers, led by Avraham Shapira, the famous watchman from Petah Tikva. The flag of the British Mandate, alongside the flag of the City of Tel Aviv, flew above the honorary podium, where the leaders of international Zionism were seated, among them, Henrietta Szold, Lord Melchett, Nahum Sokolow, and Bialik. Leaflets against the British Mandate were handed out by anonymous agitators, and British cops chased them. The First Maccabiah was held despite the lack, among other things, of a swimming pool, athletic equipment, and a serviceable gymnastics hall. The stadium was too small. 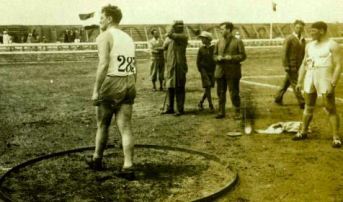 Nevertheless, all the competitions took place: a light athletics course was made from coal donated by the Israel Train directorate, gymnastics competitions were held on a wooden platform in the roofless hall of the Rina Garden on Shalom Aleichem Street in Tel Aviv, formerly a reception garden and moving-pictures hall, while swimming and water polo competitions were held at the Haifa Port. The audience watched from rafts that floated on the water. 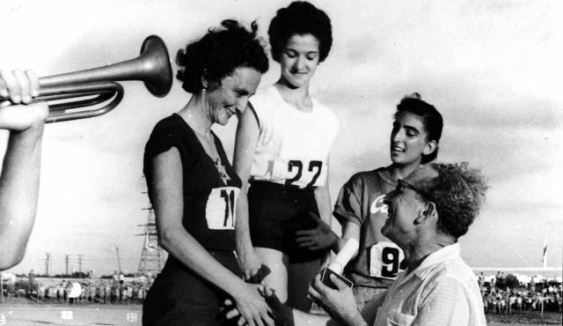 The 10,000-meter race was held in the streets of Tel Aviv, along the beach, on a course that was part sand. Tickets were sold at a piano shop and in pharmacies. Poland won first place; Palestine came in fifth. The Second Maccabiah took place in 1935, two years after Hitler came to power. Many participants, particularly those from Bulgaria and Poland, stayed in Palestine. Even the players of the Bulgarian wind orchestra, who came to play in the opening and closing ceremonies, stayed, sending back only their instruments. 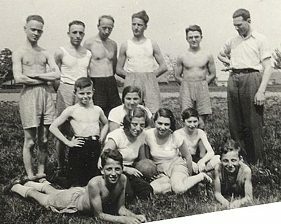 The Third Maccabiah, in 1950, was held in the shadow of the Holocaust, since many of the participants of the previous Maccabiah Games had been murdered in Europe. 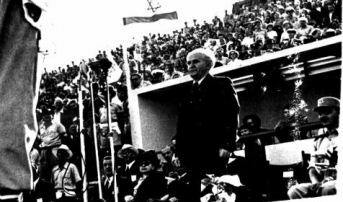 The Seventh Maccabiah, in 1967, included a delegation from Iran. 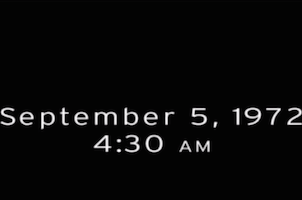 Mark Spitz, then a 15-year-old boy from the United States, took part in it before becoming an Olympic champion, a world record setter, and one of the greatest athletes and swimmers ever. 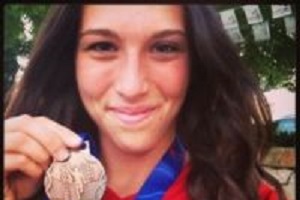 The 2017 Maccabiah Games, also known as the 20th Maccabiah Games, were held in July 2017. They brought together 10,000 athletes, making it the third-largest international sporting event in the world (after the Olympics and the FIFA World Cup). The athletes competed on behalf of 85 countries, in 45 sports. The first club founded in the spirit of “Jewry of muscle", was the Israelite Gymnastics Association in Constantinople, Turkey. It was founded by young Austrians and Germans who came to Turkey in search of work in the late nineteenth century, and established a separate sports association after being rejected by the local clubs due to anti-Semitism. In the early twentieth century dozens of Maccabi associations were established throughout Europe. The Palestine club was founded in 1906 in Jaffa, and later additional clubs were founded in Be’er Tuvia, Gedera, Zichron Ya’akov, and elsewhere. Lebanon, Syria, and Egypt also had their own Maccabi branches. In 1921 a decision was made to unify all the clubs under the umbrella organization of the Maccabi World Union. 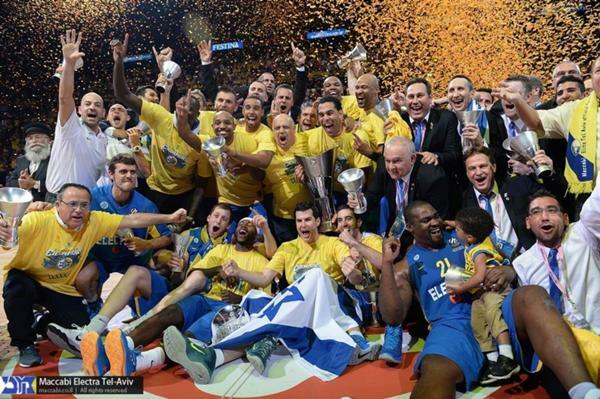 Maccabi defeated Real Madrid for their fifth Euroleague Basketball title!